XCLUSVE is a small online apparel store based in Los Angeles, California. We are a new high end streetwear brand dedicated to bring on fresh style. This t-shirt arrived last week all the way from sunny California to sunny Okinawa. It’s a black 100% cotton t-shirt. The printed label says “Made in America”. I don’t know for sure but it feels like an Anvil/Gildan t-shirt. It’s a little heavy and not all that soft. On the other hand, the ink is surprisingly soft considering the white and red is so vibrant on the black t-shirt. It’s a little bit shorter, heavier, and looser than a standard American Apparel t-shirt. There is a logo on the front of the t-shirt but the main design is on the back, so I will focus on that. The white and red colors look good on the back and the composition of the design works. The content of the design, however, has no meaning for me and therefore doesn’t interest me. It might spark a conversation but if I were wearing it and someone asked me about it I would just say that I don’t know what it’s about. In the triangle, there is the word U.N.I.T.Y. which they are using as an acronym for unorthodox narcissistic idols takedown youth. U.N.I.T.Y. is crossed out in red ink with handwritten style text printed above. It says Xclusve. Does this mean they are insinuating that unity is not quite as positive as it is perceived and that it should be replaced with exclusivity? I don’t know. The text to the right of the triangle says blood in red. I don’t know what that could mean either. OK, I’ll be direct here. I don’t understand the design. I have a feeling it’s just garbage with no real meaning (feel free to enlighten me). I live in Japan where they love to put English text on t-shirts. The meaning is not important but rather how the words look or even in some cases what the individual words mean. If I had seen someone wearing this in my neighborhood, I would have just thought to myself “there we go again with the nonsensical English t-shirts”. It’s a generic logo t-shirt. I have a feeling that these guys created the logo first and then started to think of t-shirt designs. The problem with this strategy is that the only people interested in the logo are the people who design them. You need to make a name for yourself before you start trying to sell logo t-shirts. Or perhaps make t-shirts of such exceptional quality that people are buying them for the cut or the fabric. This t-shirt doesn’t adhere to those criteria. 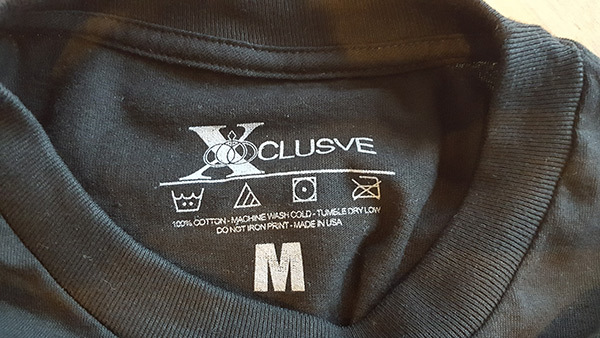 The t-shirt has a pocket-sized logo on the front and another logo on the inside neck along with the care instructions. 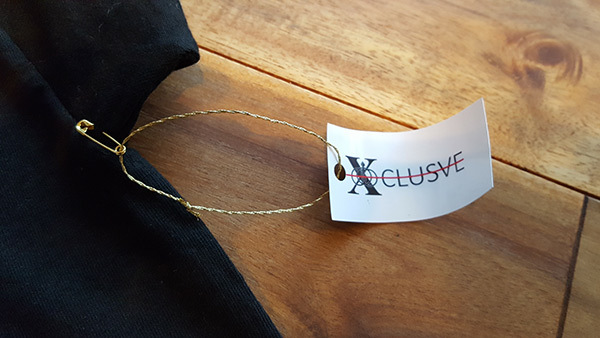 Attached to the t-shirt with gold-colored thread and safety-pin, there was a small paper tag with the logo on it but nothing else. It doesn’t really add anything. There was also a logo sticker included in the plain white mailer that the t-shirt arrived in. XCLUSVE are using the Shopify platform for their store. 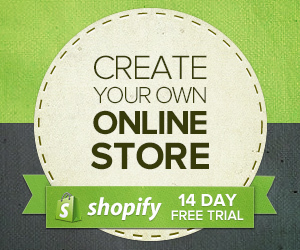 Shopify has lots of great themes but I guess they decided not to use them. The website is easy enough to navigate and has lots of white space, which I normally like, but in this case, it just looks like no effort was put into it. The homepage is a splash page of a blurry low-resolution image of their logo. The product page which has only five items doesn’t even use standard image sizes. The selection is basically a bunch of logo t-shirts. There is a blog that seems to consist of tags rather than content. If they think that will help get visitors, they know nothing about SEO. I could go on but I’m sure you get the drift. The tank tops and t-shirt are $25 – $30 and the long sleeve shirts are $40. If you are interested in this t-shirt I guess the price is OK. The t-shirt I received is good quality and the $25 price point is OK. The composition of the design is fine but I really don’t know what it’s about or who the target market is. 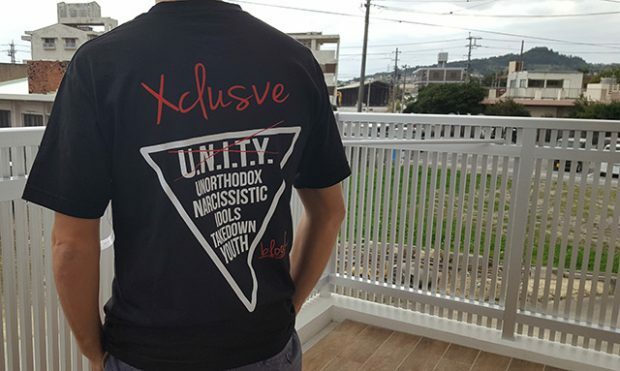 The name of the store is XCLUSVE but I don’t know what’s exclusive about these t-shirts. Anybody with $25 plus shipping can get their hands on one. The website looks like a work in progress and the blog is worse than a joke because it’s not even funny. My favorite thing about XCLUSVE is the girl’s hair in the first image of this post. She has really beautiful hair. This has been a harsh review but I’m being honest as promised. If this is what to expect of XCLUSVE, I think it is doomed to failure. If they really want to succeed in this business they have to make some serious changes. Thanks so much for the review. We appreciate your time. When we read that you live in Okinawa we were excited. We have family that live there too. The U.N.I.T.Y shirt means, it’s better to have a mentor than an idol. Idols can let you down and mislead you, making you feel like you belong, steering you in the wrong direction. Too many youth are taken down by idols. A mentor teaches you. A mentor makes sure that you grow and understand your consequences, whether good or bad. To have Xclusve blood means, you can accomplish the impossible, and being blessed to be a blessing to others. Xclusve is for those who strive for excellence, and want to be a positive influence for others. There is no dream too big or too small. When we made our first shirt we received a lot of feed back about the logo. Everyone loved it and said we should put it on the front of the shirt. So that’s what we did. You are right about the website and the blog. It’s a work in progress. We deleted the blog for now. We need to learn more about that. It’s not that we aren’t trying, we are just new at this. “Don’t be average live Xclusve” means, that everyone was born with a gift in this life and we are not meant to be average, we are meant to live Xclusve. Thanks again for the review. We weren’t ready for the harshness of it, but we will grow from it. Kudos to both parties involved in this conversation. From the Reviewer, an Honest and thorough critique. From the Reviewed, a likewise thorough and Honest description of the Passion behind the brand, and a mature and Eloquent expression of Gratitude for the Gift of Truth.